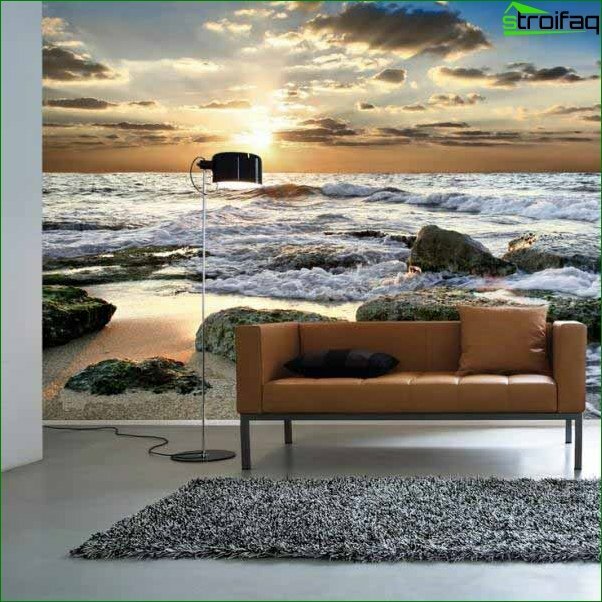 80 of the best photos of wallpaper for the living room. 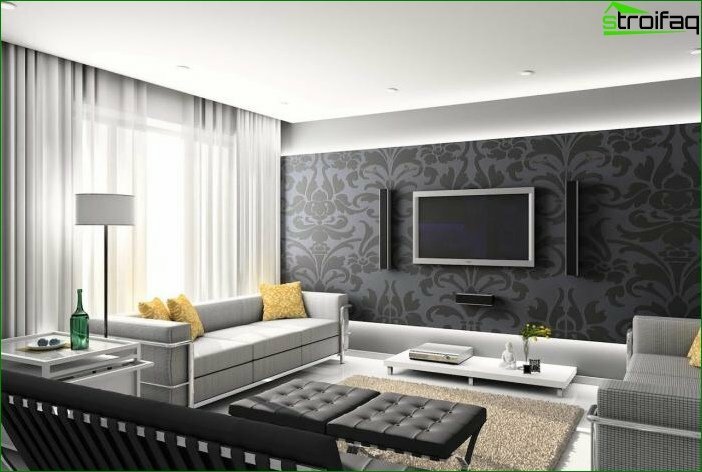 Help in choosing different types of wallpaper for rooms of all sizes and for all tastes. 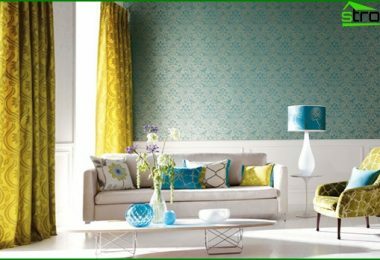 How to choose wallpaper for your living room. What you should pay attention. 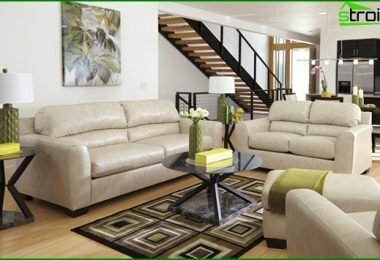 Tips for individual design for living rooms of various sizes. Interior Photos. All kinds of stylistic features of living. New products in 2017. 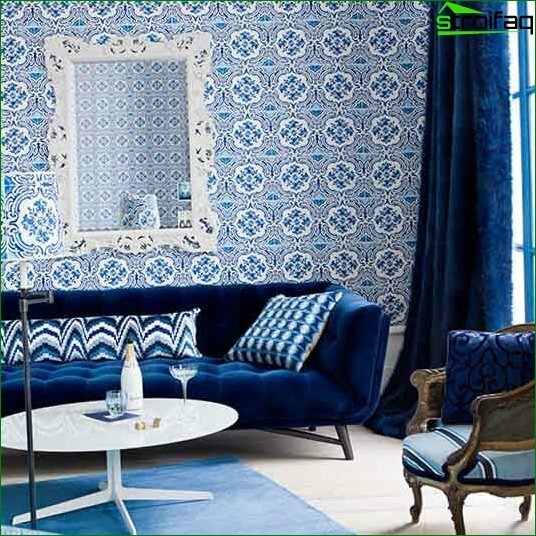 How difficult nowadays to choose wallpaperhis living room, where is now in almost every hardware store offers a huge range of products, which includes all kinds and textures of wallpaper, and about the materials and manufacturing countries in general and nothing to mention - so many of them. But we will help you in this difficult situation. Let us first try to understand the basic varieties, sorted by the materials from which they are made. 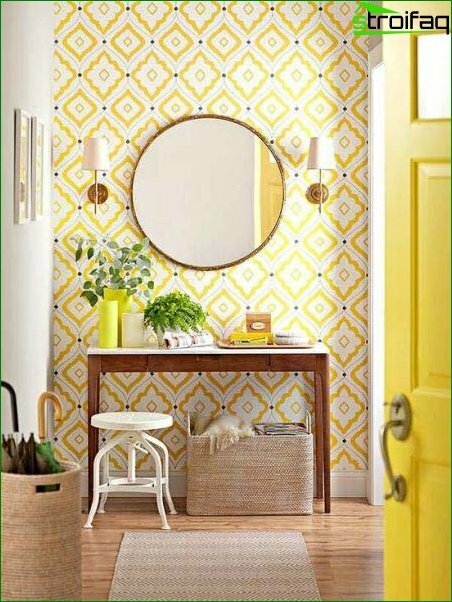 These wallpapers have many drawbacks - theythin, often torn during pasting, and glue them should be on a level surface without flaws. And the selection of drawings are sometimes large pieces of scrap, which is disadvantageous economically. But by themselves they are much cheaper than all the other species. But of nonwoven wallpaper is much more practical and brighter. They are very dense, which extends from the "life". Not afraid of them, and the sun's rays with moisture. 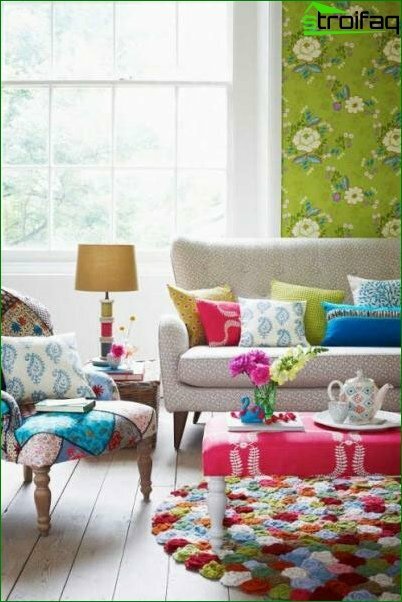 But they can be repeatedly painted, each time creating a new interior. 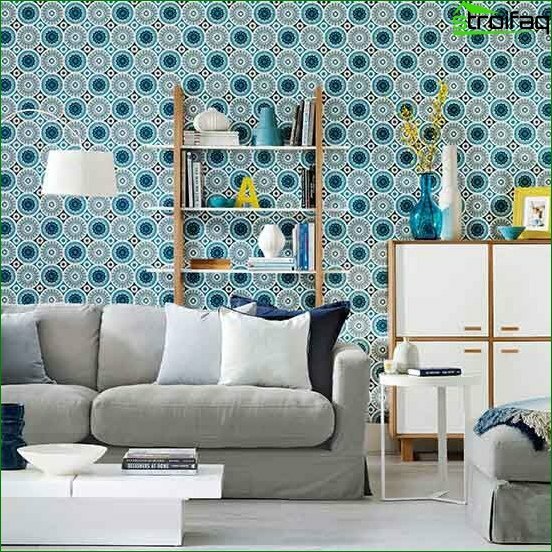 These wallpapers have become recently very fashionable have a wide selection of colors and patterns. 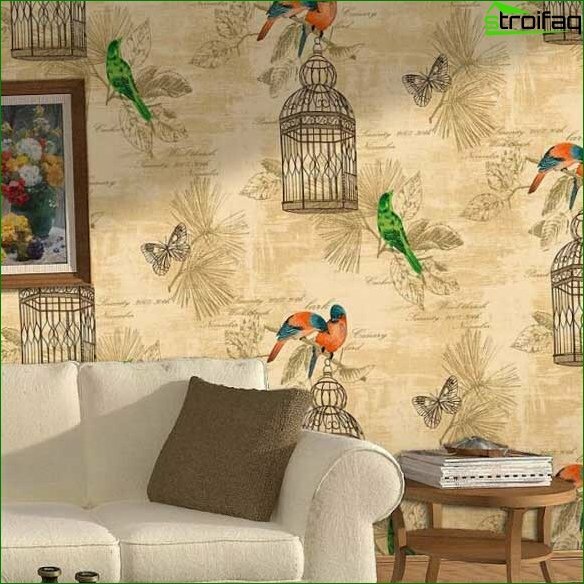 Vinyl wallpaper has a paper base, butthe quality is not worse than non-woven. They can also be cleaned and washed. Panels appear as a single entity - the borders of pasting, you hardly see. 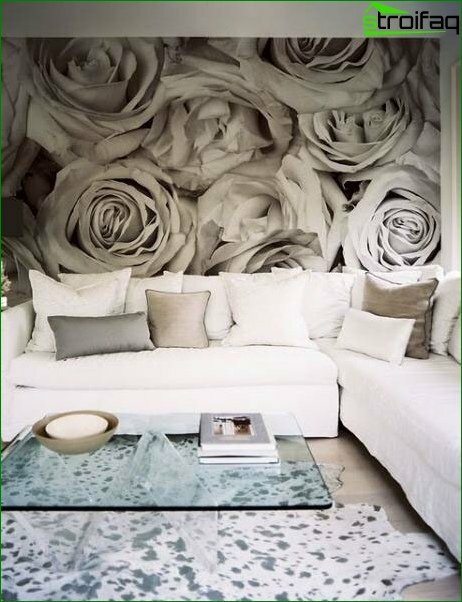 Papered with wallpaper in your living room so you will not regret it - it will look fresh and tasteful. velor or other heavy fabrics. 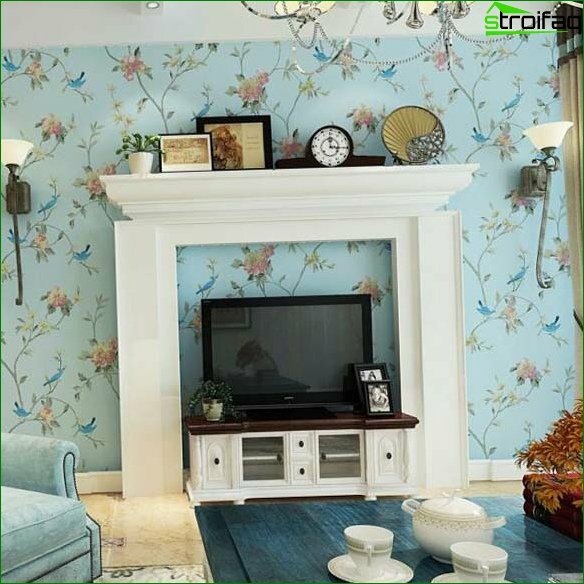 This type of wallpaper will decorate your living room. The only care they require special - they can not be washed, but the dust they grasp very quickly. If all of the previous versions have not arranged, itWe recommend choosing fiberglass - they are quite durable and practical. They are made of fiberglass, which characterizes the strength and reliability. Their main advantage can be considered fire resistance - they do not light up and will not burn. 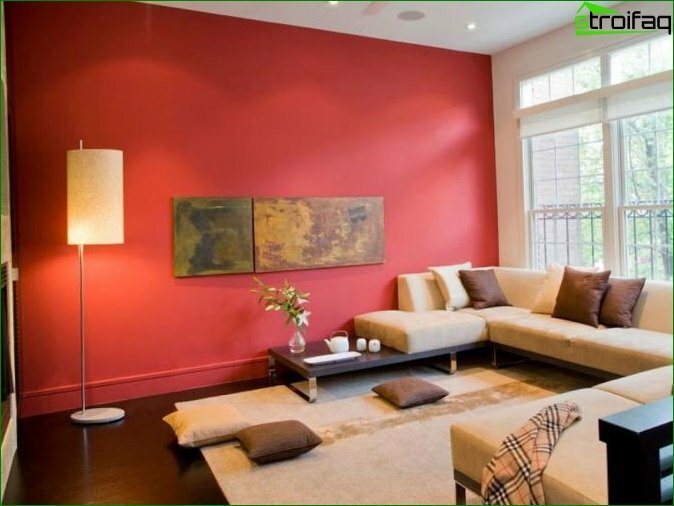 Moisture is also not afraid of them, and they can be repainted more than 15 times. 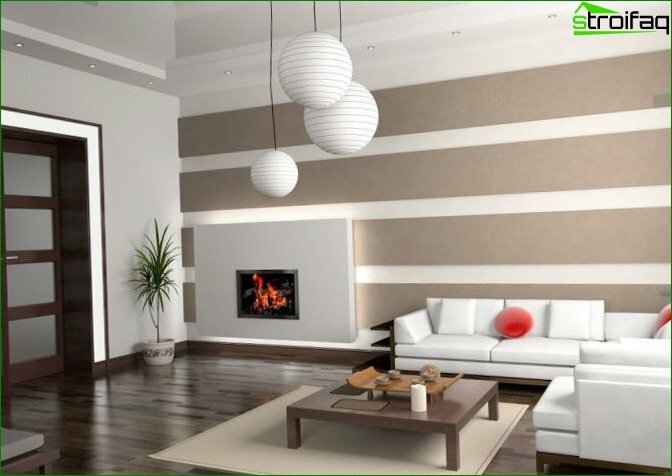 Bamboo wallpaper - it is a piece of nature in your home. 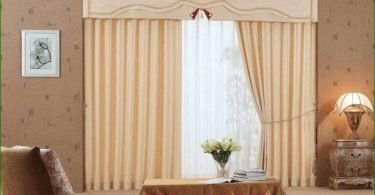 They are excellent - your living room will certainly be a luxury location where guests will be happy to spend more than one hour of pleasant conversation with you. 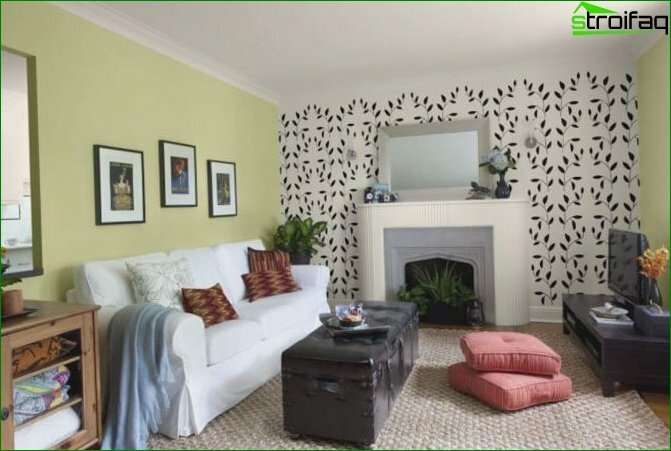 Just do not get carried away hard enough to paste over a small area (as in the photo around the TV area). 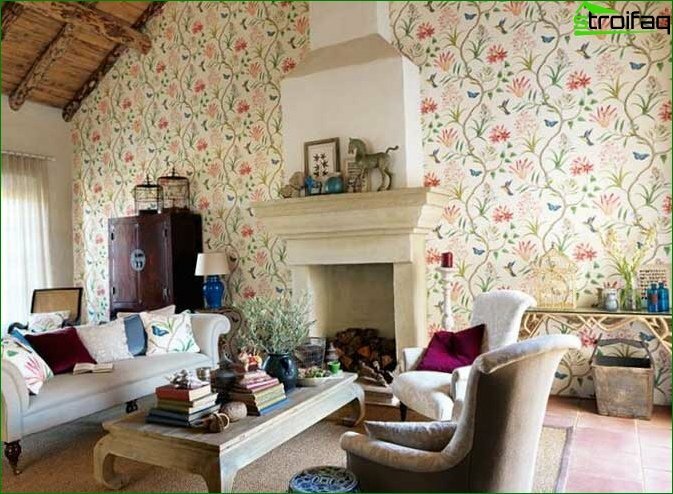 In the care of such wallpaper is not whimsical - clean them several times a year with a vacuum cleaner, and particularly stubborn dirt can be wiped with a damp sponge. 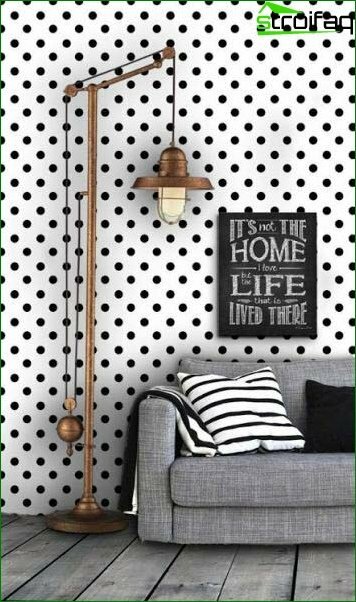 As it is difficult to choose the wallpaper for your living room, where is now in almost every hardware store offers a huge range of products, which includes all kinds and textures of wallpaper! It became very popular in recent years, and wallpapers. Earlier images on them are not very good quality, but now everything has changed. With the help of modern technology printing began to work miracles by making masterpieces. 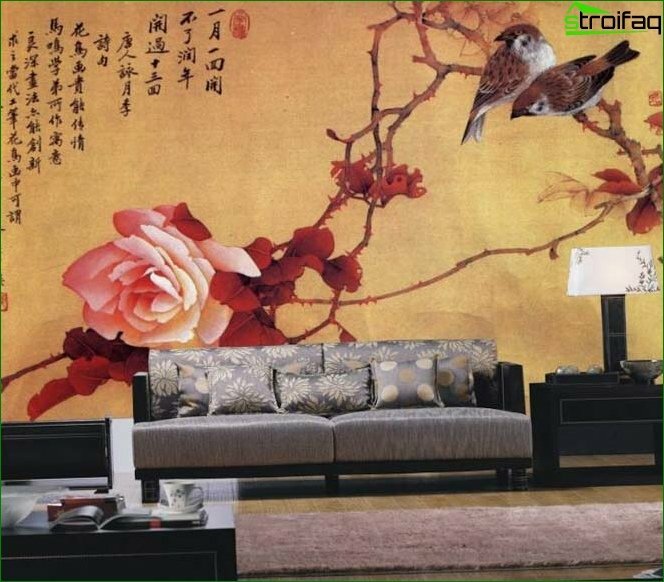 Wallpaper for the living room in oriental style. Sometimes landscapes are so clean-cut andVivid, it seems that on your wall window to the sea or in the fairy forest. 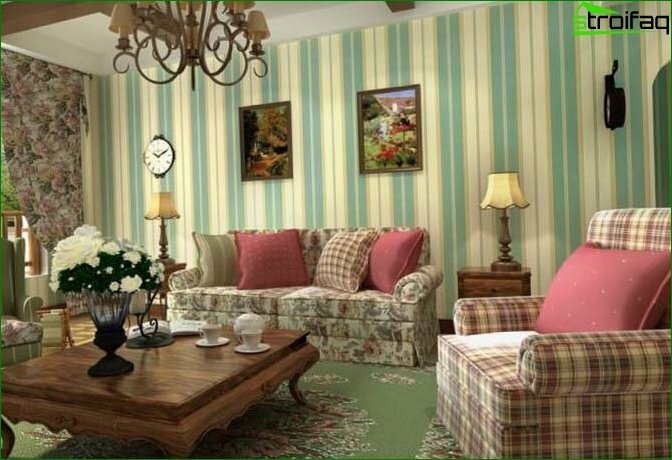 Creating interior in any particular style, you can choose wallpapers easily. After all their varieties are so numerous that it is difficult to imagine. And this is an important plus. 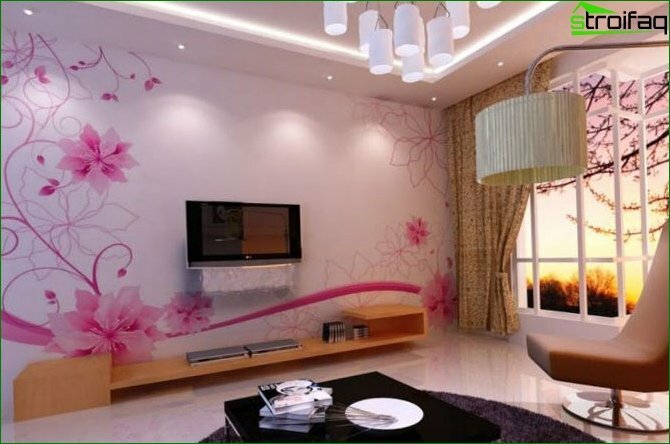 To wallpapers in your living room lookinga winner - you need to provide them with the basic place where they will be clearly visible - they will be the main focus in the design of the interior. 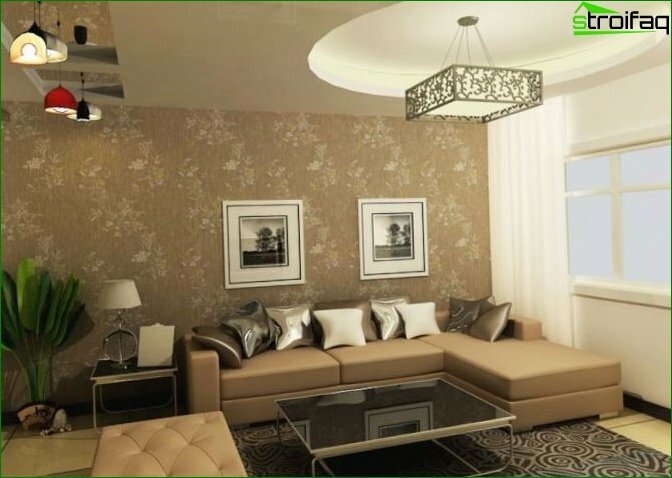 But the wallpaper for the rest of the walls is necessary to select the neutral light colors, either in tone. 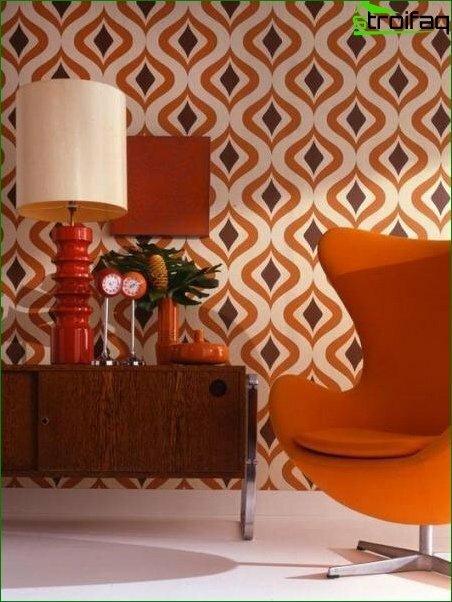 However wallpapers must not be aggressiveelement of the interior, which will irritate you and your guests. In principle, this is their main drawback. 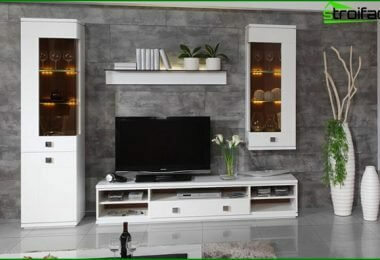 It is best to place them in a place where they do not distract from the conversation or TV viewing. 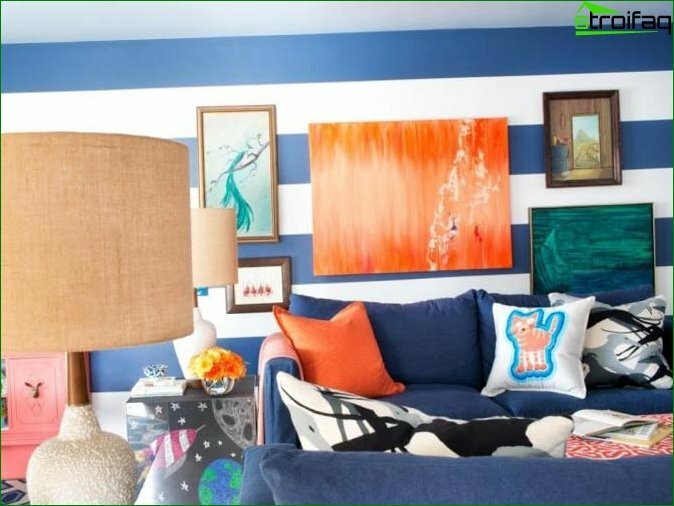 Mural do not tolerate excessive clutter and incongruous styles. 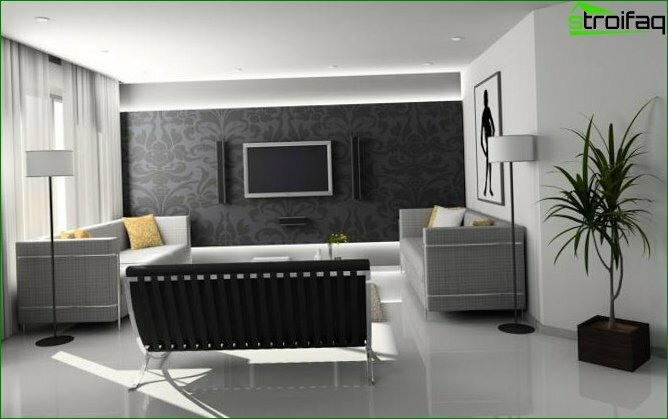 Design living room - this is not a simple matter. It is important to approach this issue with well-thought-out plan. 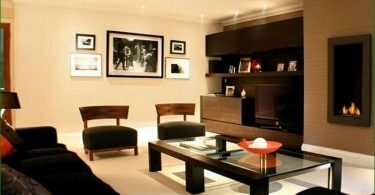 After all, any, even the smallest living in a small apartment reflects the worldview of his master, creates a cozy atmosphere to feel comfortable here, not only property owners, but also their guests. 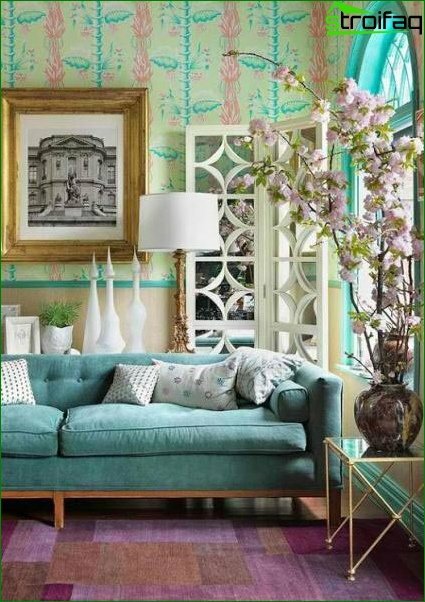 mirrors, framed frames with bronze elements. Below you can view some of the interiors are decorated in a classic style. 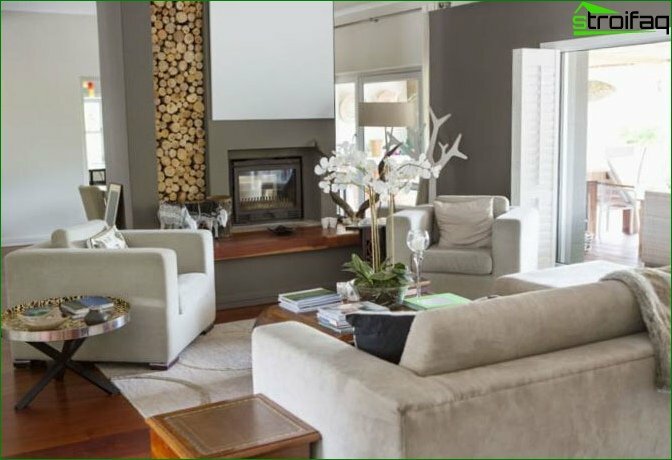 It certainly contains elements ofwood, leather and fur, all kinds of stone and metal objects. Thus the lines and shapes remain smooth. 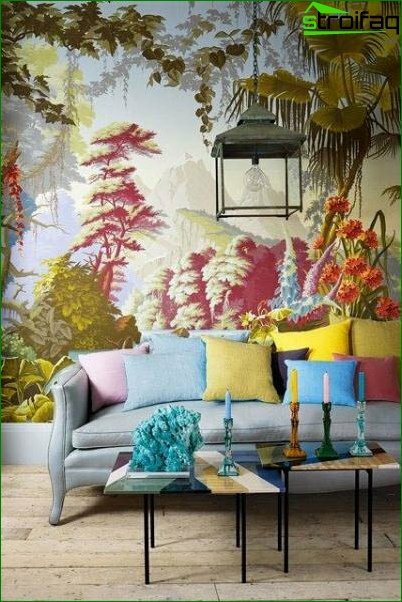 For wallpaper motifs of nature work best - vegetation, animals. 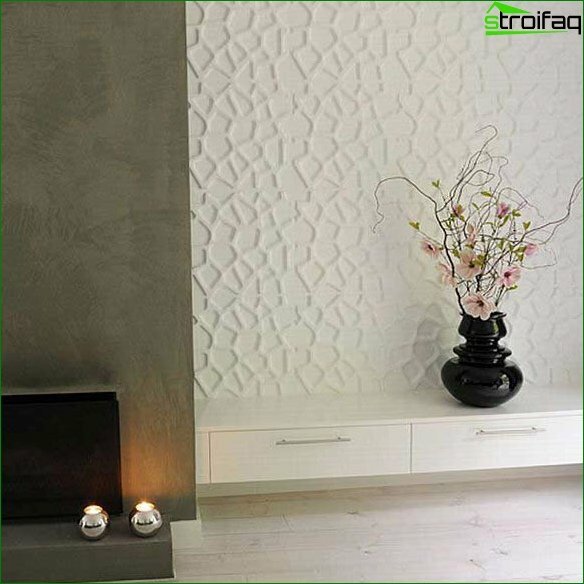 Mosaic will also look at least expressive and elegant. Just look at these photos below - how much inspiration and creativity in them! 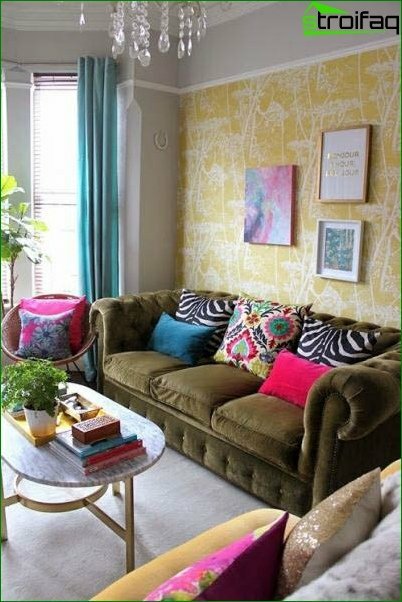 These wallpapers will certainly original and unique. Notice how realistic it looks a school of fish. The entire interior is made under the "Gzhel". Cage is always in fashion. Note the photo - tree trunks perfectly with the overall style. The basis for Nouveau is a close relationship with art. 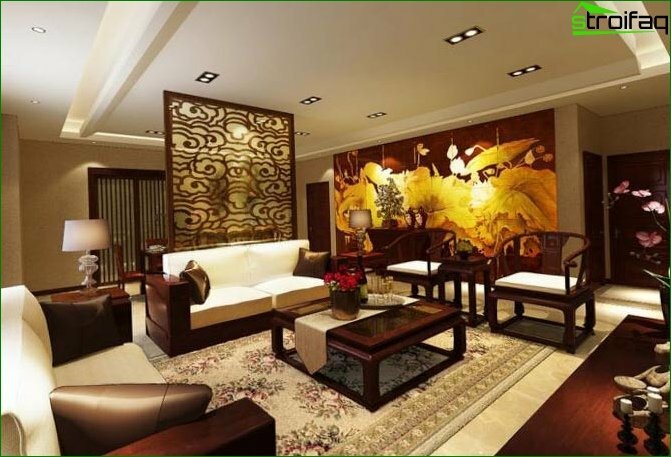 Undoubtedly, living room in oriental style will be the most comfortable place in your home. 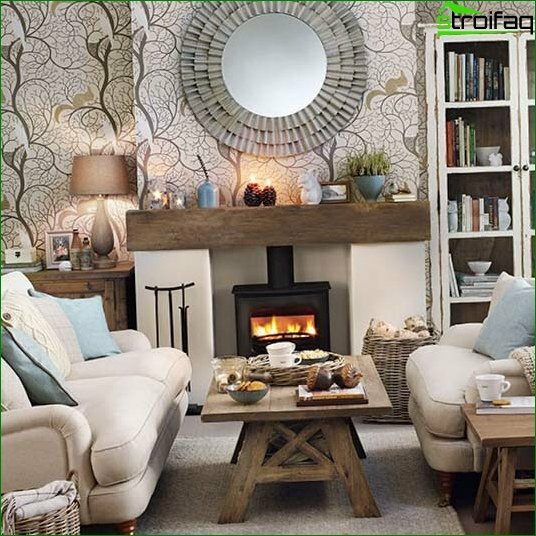 This style is filled with an indescribable charm and comfort. 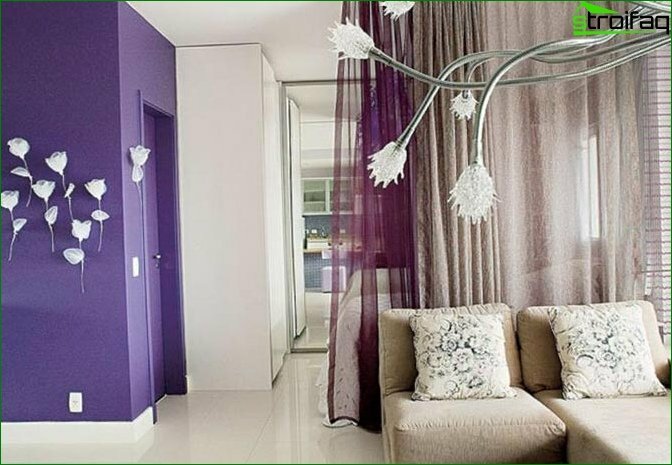 Your guests will be so comfortable here thatThey forget that it is not at home. 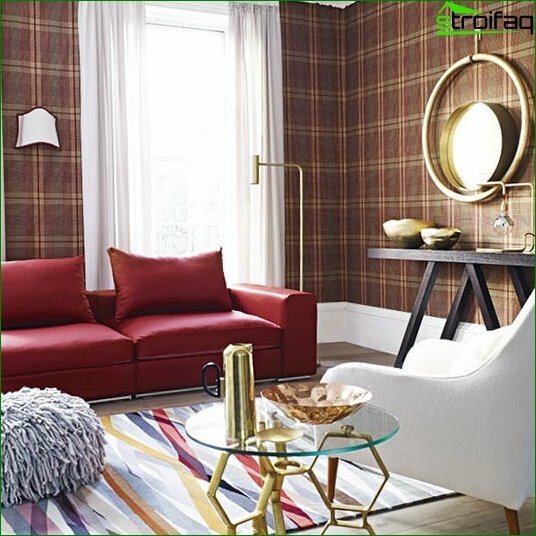 For the walls better suited fabric wallpaper, which are full of bright warm colors, luxurious-looking in this trendy interior. 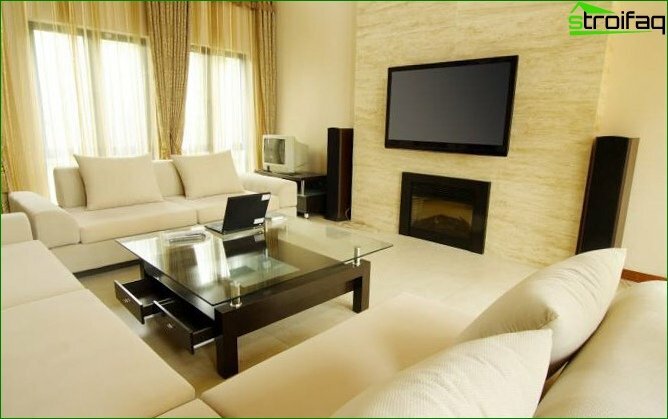 Creating a living room in oriental style, be sure toclearly thought of everything to the last detail. Decide what kind of culture you prefer - Turkey, Japan, China, Morocco, or any other. Emphasize - in its present form, you want to do everything or old. 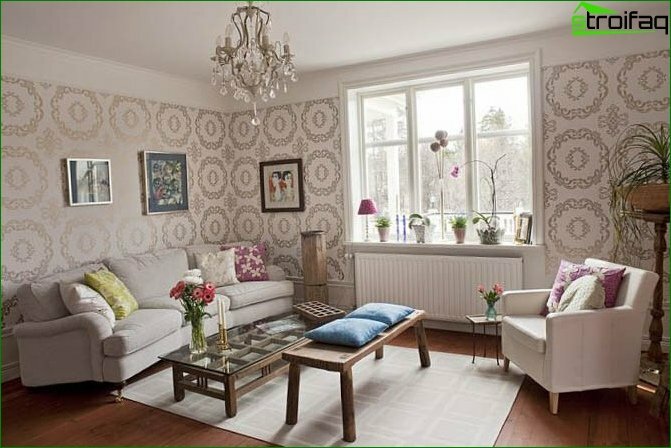 Then you will be easier to choose the wallpaper - they will either self-colored or decorated with traditional patterns. 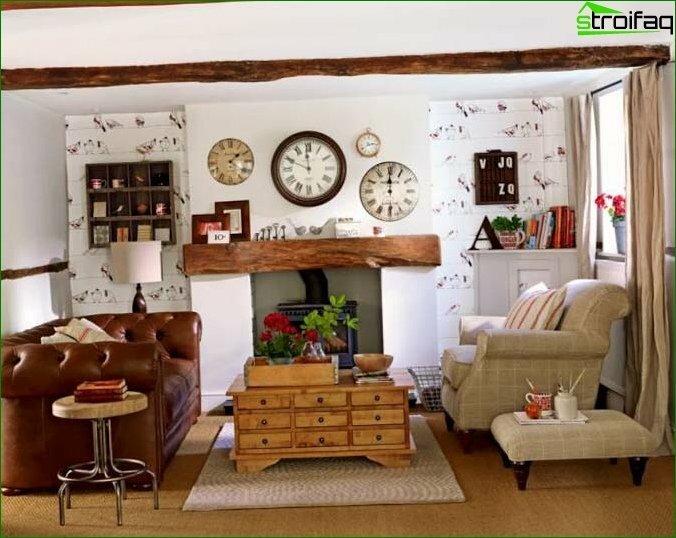 Country-style vaguely reminiscent Provence. But it is more masculine. There is nothing superfluous - no statuetochek in excessive amounts, kartinochek and trinkets. 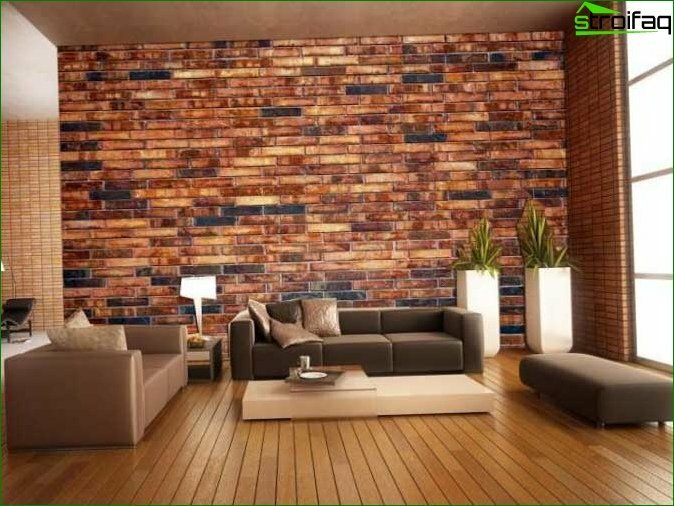 Walls often decorate with wallpaper that looks like wood or stone (including brick) masonry. Also, a lot of vegetation patterns and bright colors. Look at all the photos below. You see how much can be varied living in this style. This style is more suitable for those who do not like it when their attention is something distracting. Around them, everything is simple - clear lines, shapes, no superfluous details. 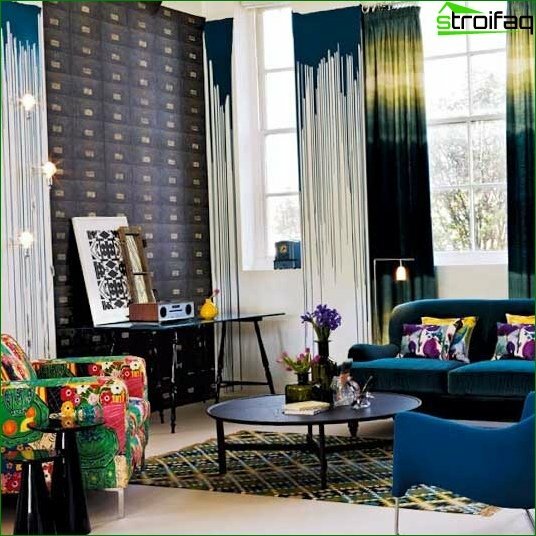 All textiles, including wallpaper for more plain, or with unobtrusive figure. The overall tone totally unsaturated, nothing hurts the eyes, do not have any special bright accents. 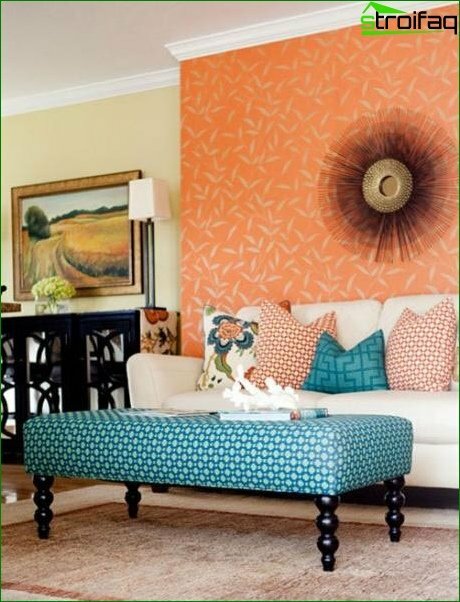 This requires to make a smooth transition from theone color to another, or okleivaya the upper part of the walls of the living room light wallpaper, and the bottom - saturated. From this in your room will only be more comfortable. No less impressive it will look when the three walls are covered with wallpaper alone, and the fourth serves as a bright accent (wallpapers, for example). 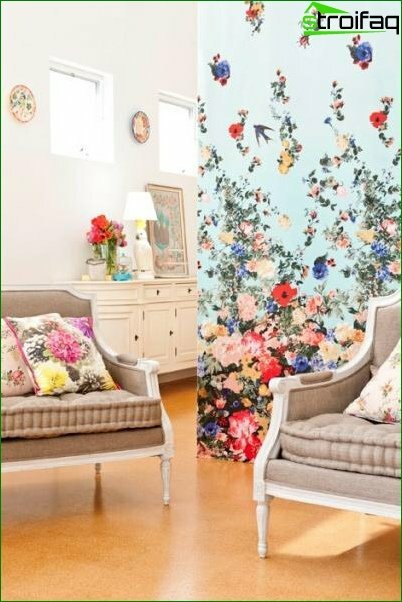 By the choice of wallpaper living-bedroom should go thoroughly. They should not irritate. On the contrary, they should contribute to soothing colors and sports facilities. It is from this whole atmosphere in the room it depends. 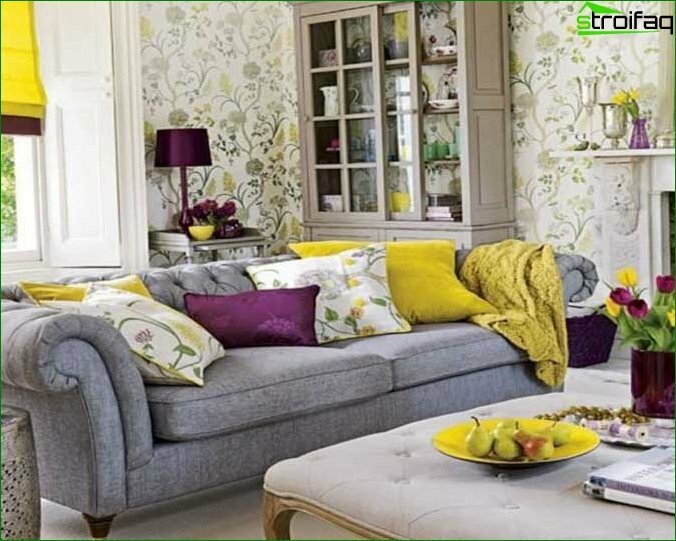 The current range is rich in all kinds of wallpapertypes and styles. 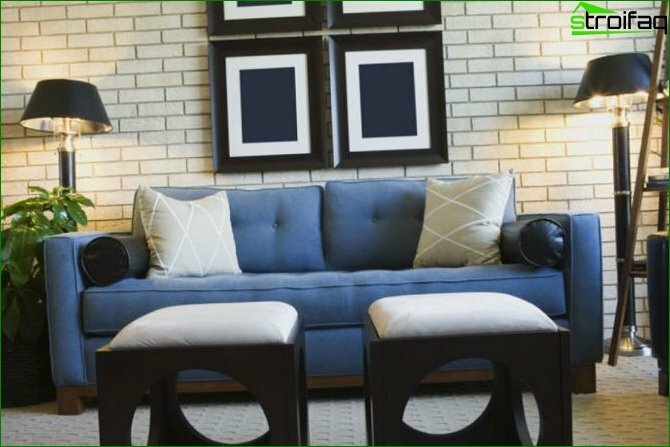 A large number among textures, textures, colors and materials can be confusing anyone. 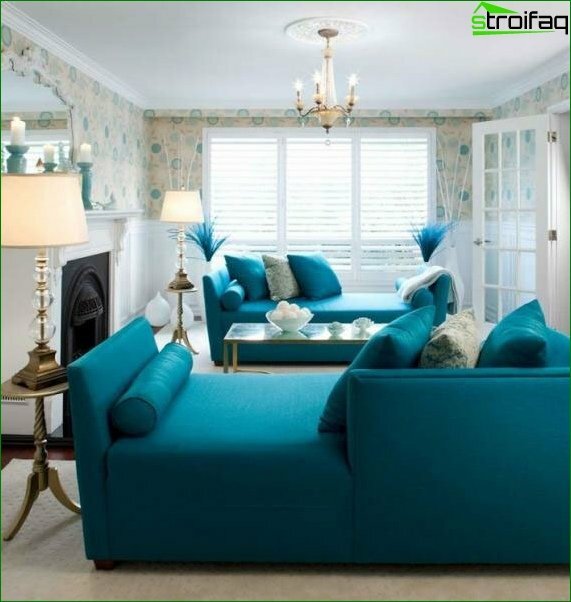 Therefore, try to trim carefully by color wallpapers for your living room-kitchen. 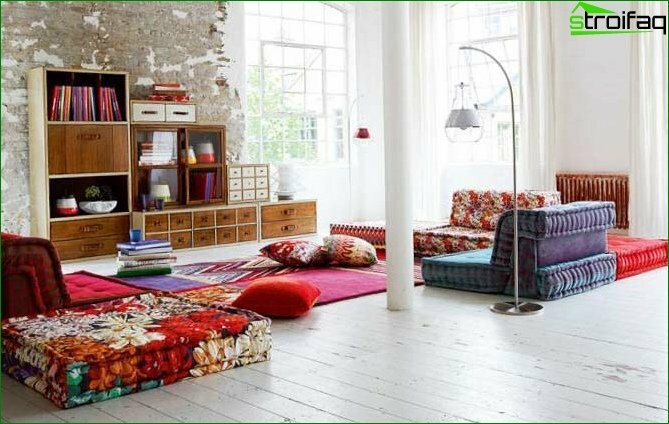 How colors affect the "appetite"
Competently selecting the colors, you can make allFood in their living room-cuisine tasty and appetizing, or completely discourage a person from refreshing himself. 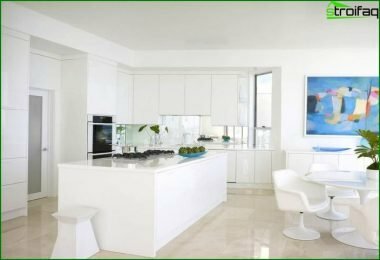 More details on the design of the combined interior of the living room-kitchen read here. 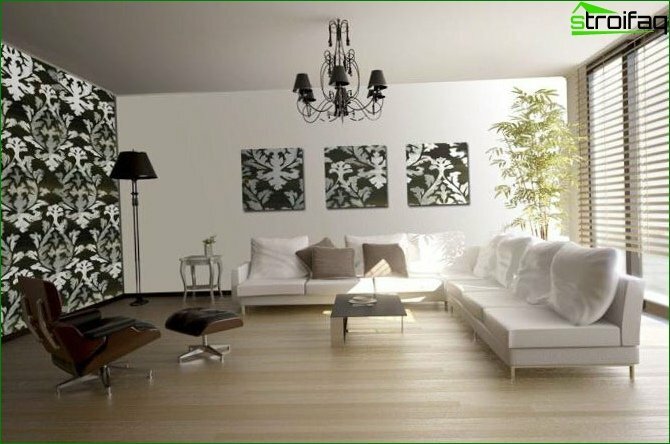 When choosing wallpaper, be sure to consider,How much natural light enters the room. 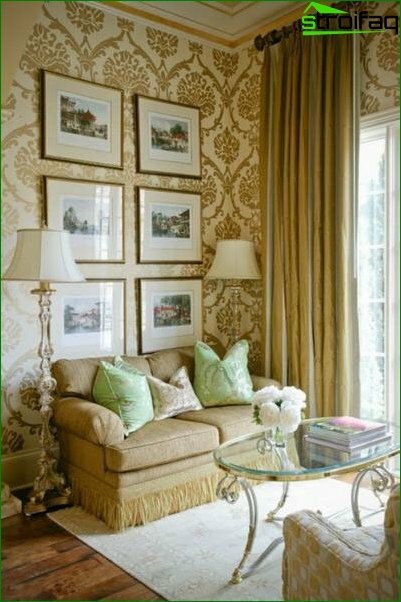 Any large elements and drawings will "crush" in a small room, but any wallpaper of light colors will visually add areas. But you can not take Wallpaper over the room At their discretion, they mustTo match in tone to all other subjects of the interior. 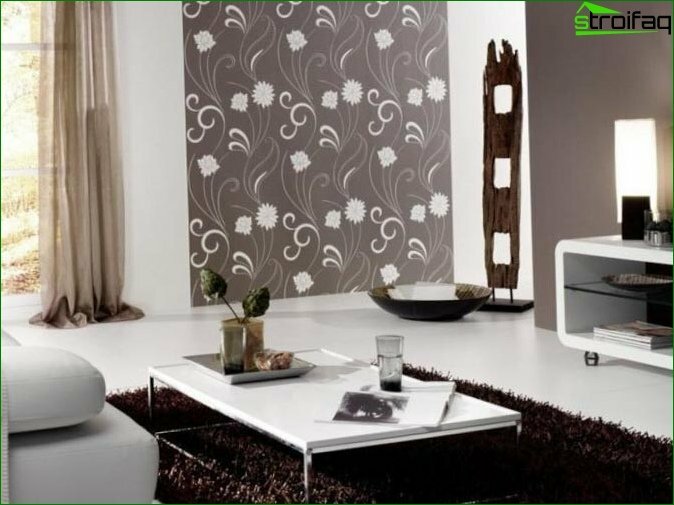 If there are no doors between your small living room of 18 square meters and other rooms in a small apartment, then do not make sharp contrasts when moving wallpaper from one room to another. I suggest you view the latest fashion trends of 2017. Elements from the village house (figures of cows and woodpile). All shades of marsala (wine). 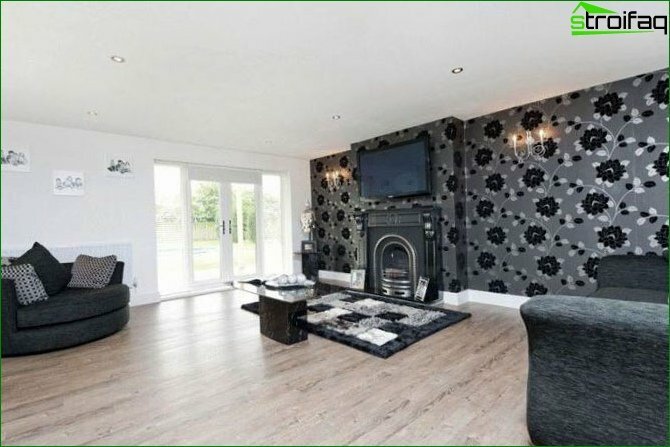 The motives of "vegetation" on the walls. 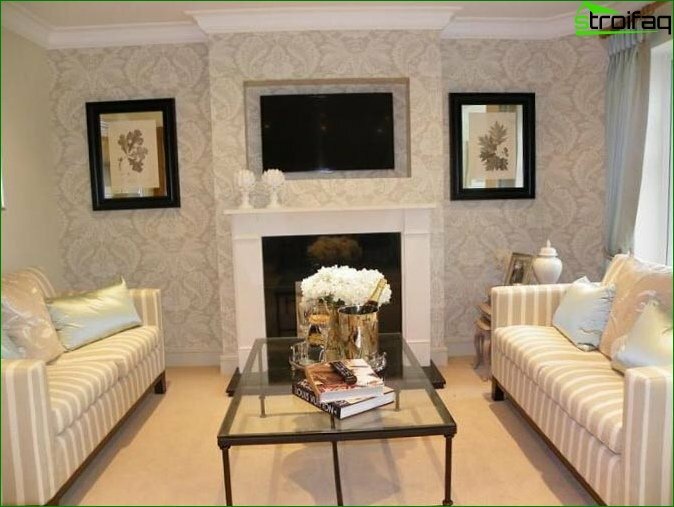 Also look, please, and other photos with examples on drawing up of drawing rooms. We are sure that you will find something of your own among them.